I decided to head up to Montreal, Canada yesterday. 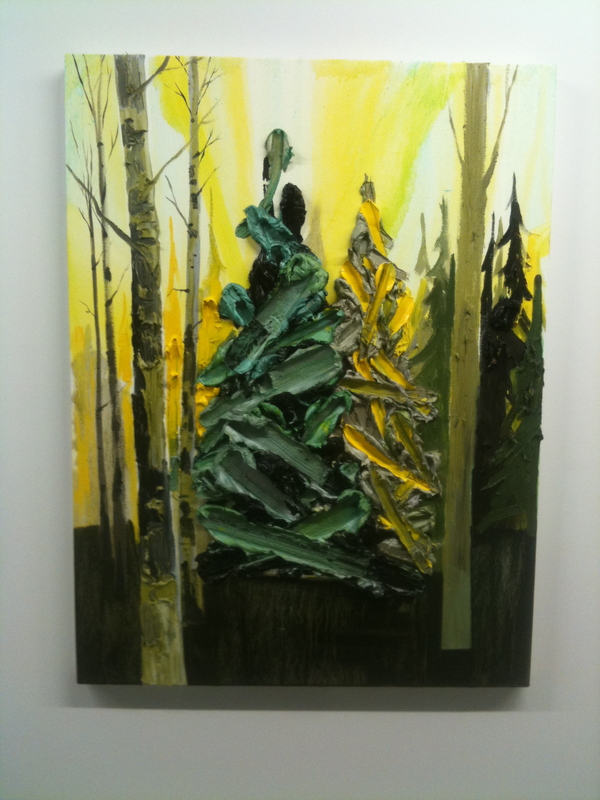 There is a Kim Dorland show going on at Galerie Division. It was my first time visiting that gallery, it’s a beautiful space, and Kim’s paintings looked great in it. I’ve mentioned his paintings before, and was mostly reacting to his thick impasto, which seems like an obvious comment, but the density of the work really does come out and grab you, or causes you to want to grab it. There’s a real interest in the tactility of the paint, and it seems that he uses the paint to lend it’s self to the tactility of the objects and light he’s painting. He gives light mass. He gives darkness mass too. Next to traditional ideas of painting I feel like this goes a little against the grain. Usually lights are built up and thick but darks tend to be thinner and recede, and in Dorland’s paintings the darks physically come at you . So moments that traditionally would recede, on the one hand still recede through their color, but on the other come at you in actual space. The focus of the paintings seem to be where the thickness resides. The moments in the middle ground seem simplified and flattened almost as if to emphasize that we can’t absorb the entire scene at hand. 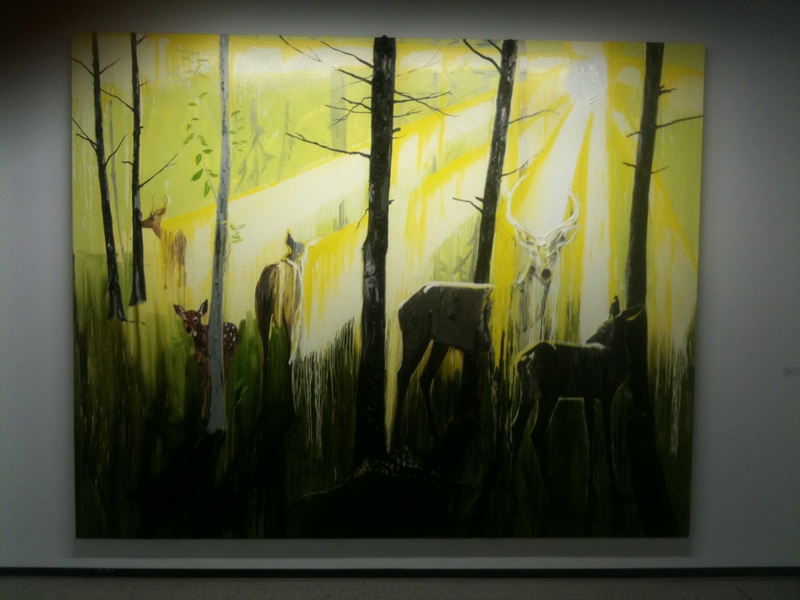 In addition to Kim Dorland’s exhibition we also went to the Musée d’art contemporain de Montréal. When I was in high school I went on a field trip to this museum and it blew my mind! It was the first time I had ever been introduced to contemporary art, and it really made an impression on me. I am happy to report that it continues to put on great exhibitions. 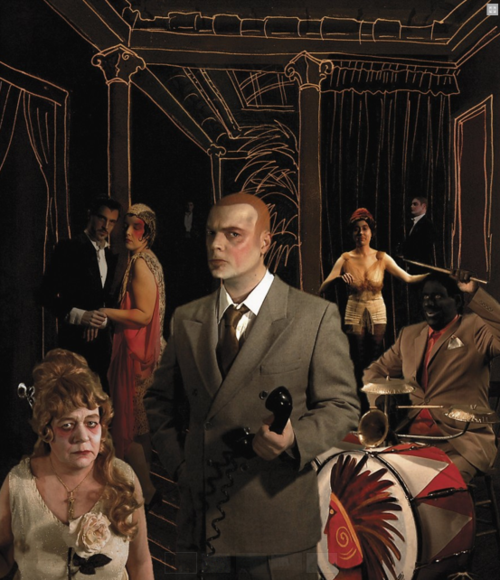 Currently on view is the QUÉBEC TRIENNIAL 2011, The Work Ahead of Us, which will be up until January 3rd. I highly recommend you go if you have the chance, especially if you like video. Although there was a lot of work, with almost every video piece I felt engaged and wanting to spend time with the them; wanting to watch them in there entirety. Below are some screen shots from a couple video’s I particularly enjoyed. CLAUDIE GAGNON, TABLEAUX (TO BEAUTY), 2011. Although I find this all very exciting , I started thinking to myself, “why don’t I feel this way when I look at art in the States or even New York?” If I compare my reaction towards the Quebec Triennial with the past reactions I’ve had towards the Whitney Biennial, there’s a stark difference. In the past I’ve been generally disappointed by the Biennial, and for the most part I get the sense that most people who see it feel the same way. This is not to say that I don’t find work I like, there are usually a handful of new pieces or artists that I thoroughly enjoy, so not all is lost. But I don’t ever feel like it’s a knock out show to get excited about, like the way I felt in Montreal. In thinking about this, and with all my recent international travels, I’m starting to think that New York City isn’t necessarily the place to be when it comes to finding interesting art. Perhaps this is too much of a generalization, but to me the work in the States sometimes seems too desperately concerned with making something new, opposed to reacting to our natural experiences. I think in the States, we tend to validate art through money and history, but in my opinion, and often it’s hard to convince people of this, trying to understand and explore our own experiences makes for much more interesting art. That’s what I’m seeing more of outside of the U.S., faith that our own experiences are worthy of exploration and contain potential meaning. 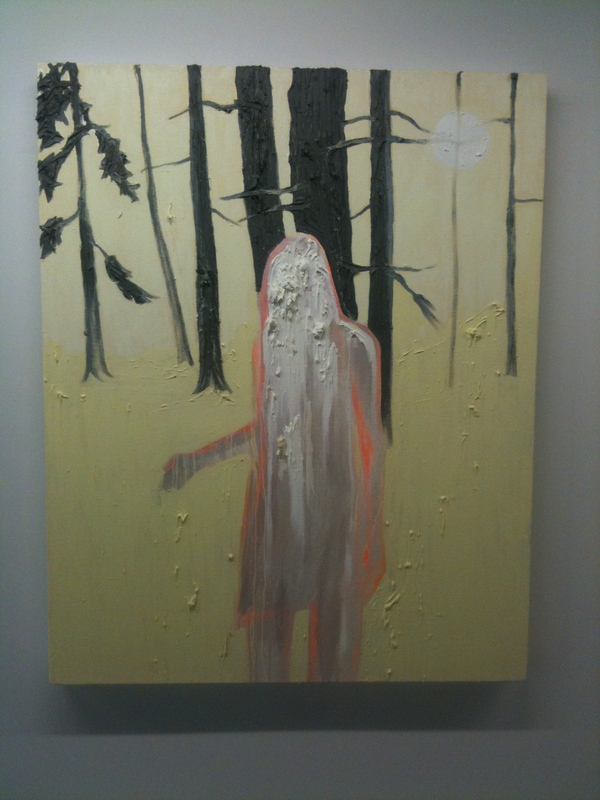 This entry was posted in art, Painting, Uncategorized, Video and tagged Art, Canada, Claudie Gagnon, Contemporary, Experiences, Galerie Division, Impasto, Kim Dorland, Mass, meaning, Montreal, Musée d'art contemporain de Montréal, New York City, Olivia Boudreau, Paint, Painting, Quebec Triennial, The Work Ahead of Us, Validation, Whitney Biennial. Bookmark the permalink. Thanks for the recommendation of seeing the Quebec Triennial. I’ll make sure we see it when Katie & I visit in early December. At one point, he writes: “The creative types sense that they are no longer wanted in New York, that money is what is wanted, and creative pursuits that fail to produce big money are not to be bothered with. But it is rent, more than anything else, that seals their fate. High rent lays low the creator, as there is no longer time to create. Working three jobs sixty hours a week at steadily declining wages, as a sizable number of Americans know, is a recipe for spiritual suicide. For the creative individual the challenge is existential: finding a psychological space where money—the need for it, the lack of it—won’t be heard howling hysterically day and night.